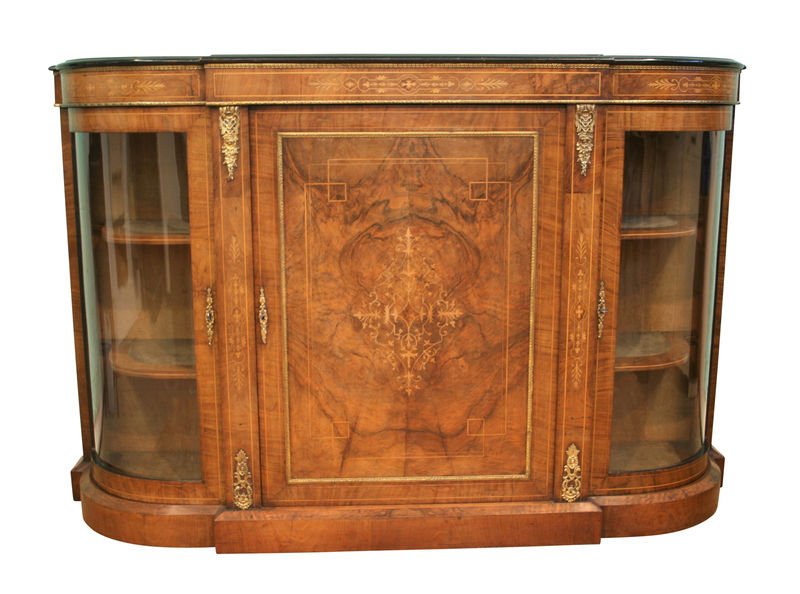 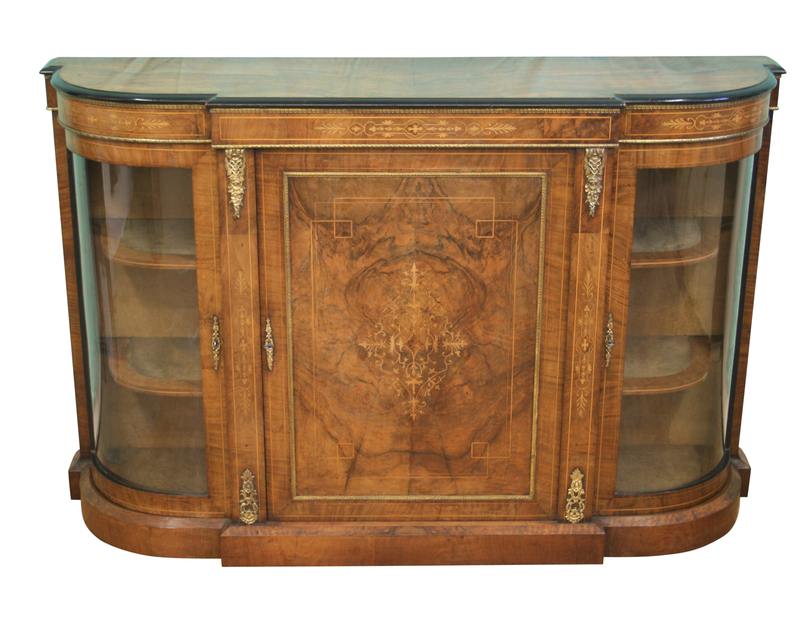 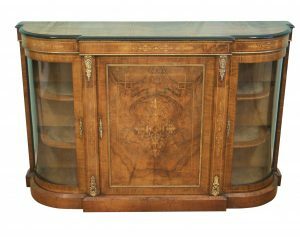 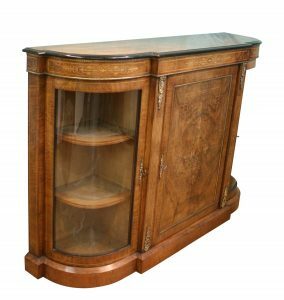 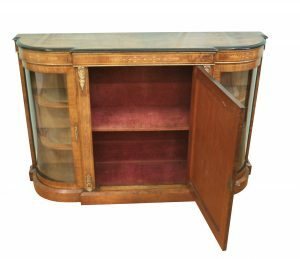 A Victorian walnut credenza with curved, glazed doors at each end and an inlaid central cupboard. All doors have working locks and keys. 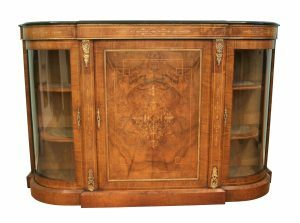 The marquetry has a floral design, set within boxwood lines. 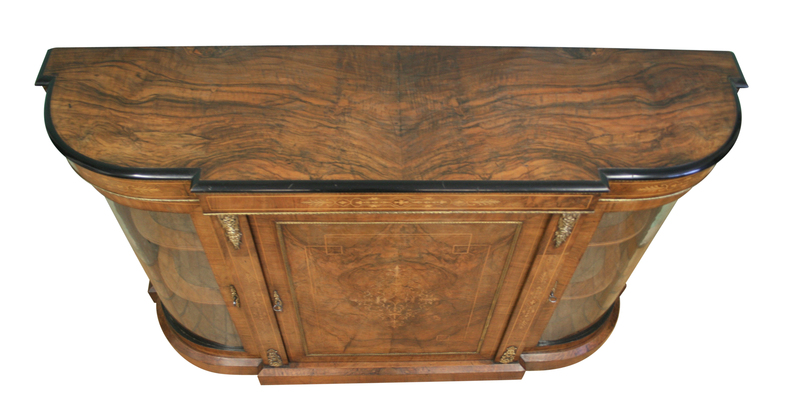 The highly figured walnut has a beautiful colour. 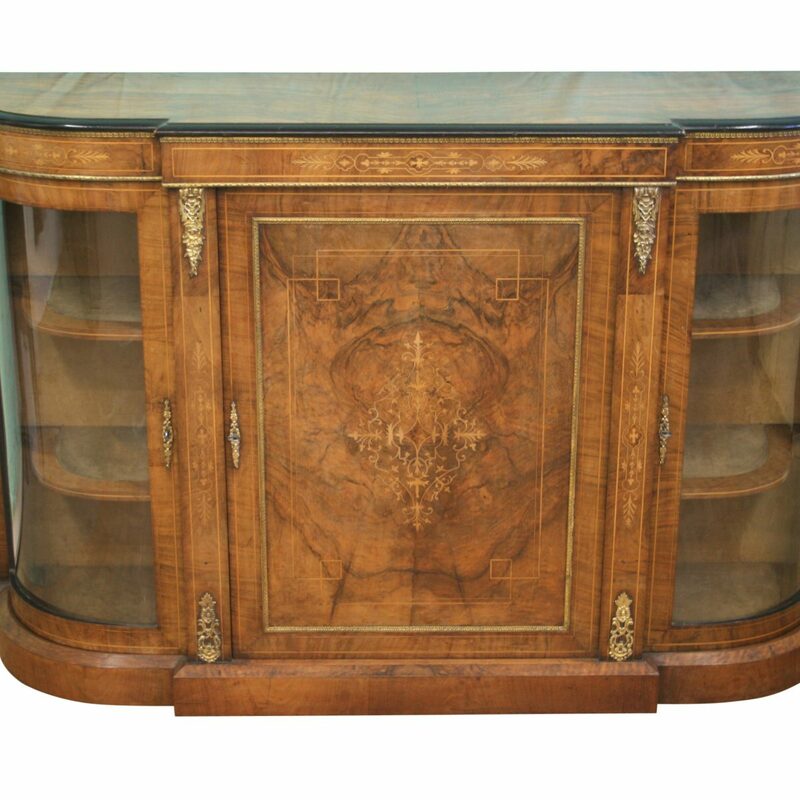 The piece is mounted with brass capitals and mouldings. 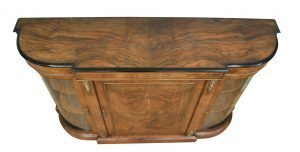 It is raised on a plinth base. 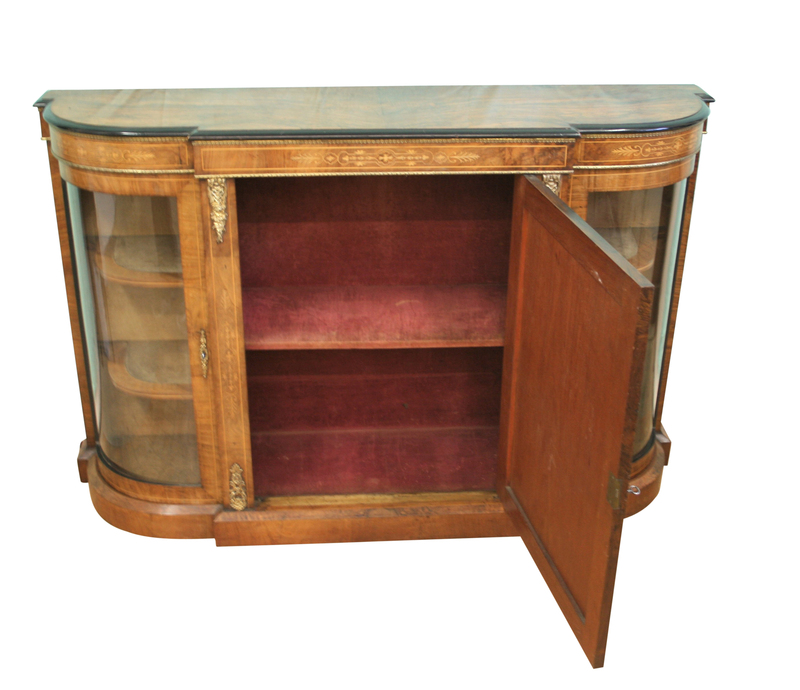 It has a scarlet velvet lining to the centre and faded beige lining to the corner cupboards.